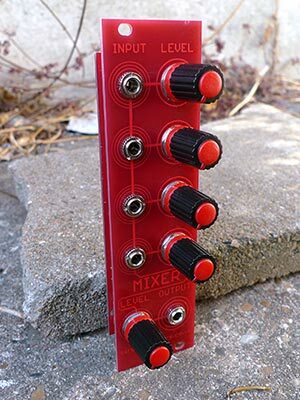 4 channel Eurorack mixer with mono out. Can be used for mixing audio or CV signals. 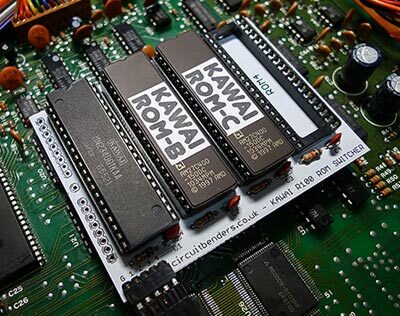 Circuitbenders.co.uk was launched back in 2001 after a chance accident with an old Speak & Spell machine and a soldering iron opened up new realms of sonic destruction and audio carnage for circuitbenders founder Paul Norris. 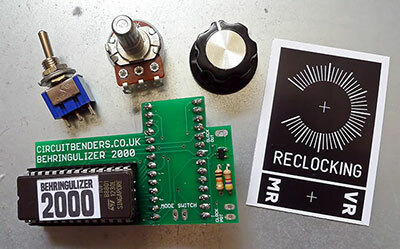 This site was the first website in the UK offering circuitbent machines for sale, alongside a wide range of custom modifications and upgrades for electronic toys, drum machines, synths and samplers. Our machines have been featured on music from artists as diverse as The Chemical Brothers and Bloc Party, along with hundreds of producers and artists worldwide. The term 'circuitbending' refers to the technique of rewiring the electronics of just about anything that makes a noise to create a machine capable of sounds the original designers would have never thought possible. Anything from dirty twisted percussion and 8 bit computer glitching, to droning alien soundscapes and crushing walls of noise can be coaxed from the most unlikely of sources with nothing but a soldering iron and a lot of patience. For details of all our standard modifications for various machines take a look at the links to the left. If your machine doesn't appear there then don't worry, we are usually willing to attempt to modify just about anything within reason. On machines we've never modified before we can often offer you a cheaper 'prototyping' deal on mods that we can then offer to other people. Just get in touch and let us know what you've got. The main requirements for a machine to be circuitbent is that it makes a noise and it's not likely to kill us in the process! To take a look at any modified machines we have available for sale, follow the links to our SHOP page. Here you'll find details of anything we have for sale along with a short list of machines we have in stock waiting to be modified or available for custom mods. For latest news and information on our most recent bent machines take a look at the NEWS page of the site. If you want to discuss anything circuitbending related or you want to try modifying your own machines and need some advice then you can join our circuitbending and electronic audio DIY FORUM where you can pick up some tips, discuss circuit bending technique and show off your latest modified machines. 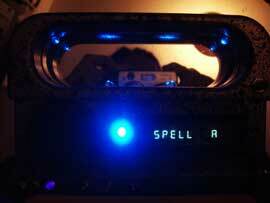 We have a new write up for our Yamaha RY30 modification that can be found HERE. 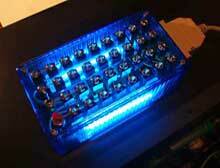 Mods include a 24 way bend bus percussion grinding switch matrix. 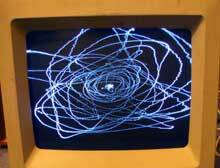 Theres a coupe of audio demos of the mods, plus some examples of Autechre showing how to properly program a RY30! We have a limited number of KAWAI R100 R-ROM switcher kits available in the SHOP. The kit allows you to freely switch between the sound ROM's for the R100, R50 and R50e drum machines, along with space for a custom ROM if you ever come across one. 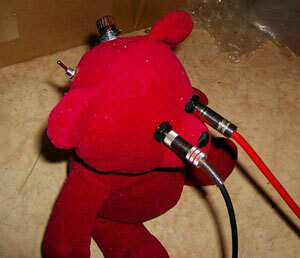 Its a solder free kit, so all you need to install it is a drill and a screwdriver. 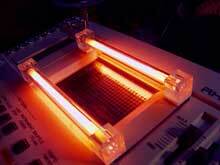 Behringulizer 2000 DIY kits are available on the SHOP page. 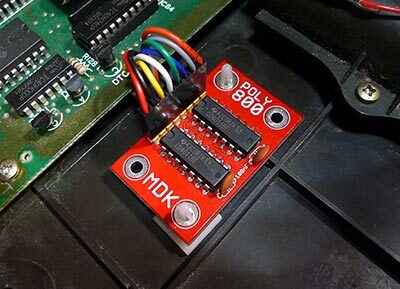 Poly 800 mkI MDK (Midi Dump Kit) diy kits are available in the shop. 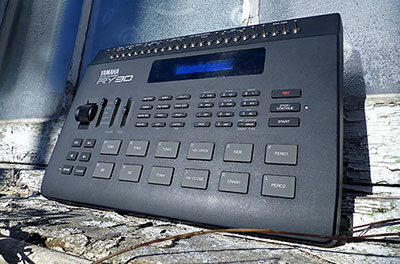 The kit adds the facility to load and dump the sound memory to and from a computer via midi sysex.